Police are looking for a blue Peugeot involved in a hit and run on 26 July. Photo: Supplied by ACT Policing. Police are looking for a blue Peugeot involved in a hit and run on Hindmarsh Drive on Thursday 26 July. Around 11 am, a dark blue 2001 model Peugeot 206 hatchback, with ACT registration YEX93K, drove towards a man near The Canberra Hospital at the intersection of Hindmarsh Drive and Tyagarah Street, O’Malley. Police say the man received serious injuries as a result of the crash. The driver did not stop to offer assistance or give their details and fled the scene in the car. 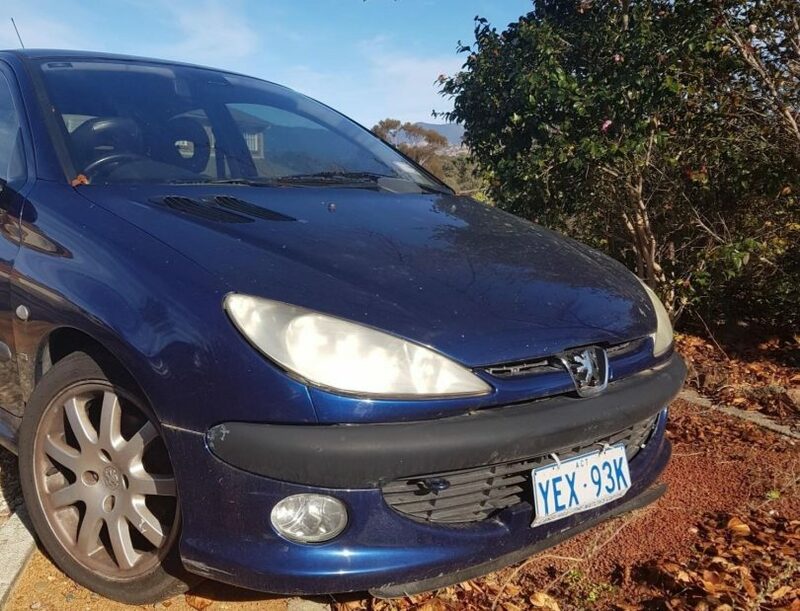 ACT Policing urge anyone who knows the whereabouts of the dark blue Peugeot, or who has any other information about the incident to contact Crime Stoppers on 1800 333 000, or via the Crime Stoppers ACT website. It is believed the front of the car is damaged due to the collision. Please quote reference 6291179. Information can be provided anonymously.